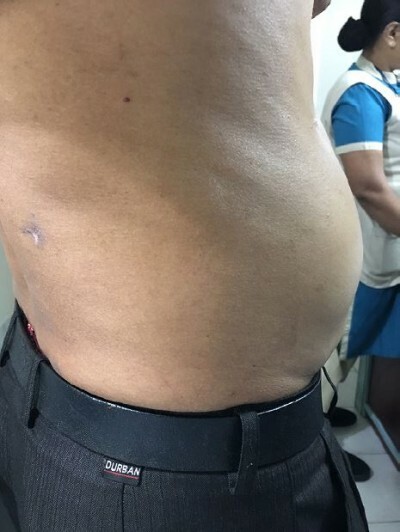 Abstract: Loss of tone of the anterolateral abdominal wall muscles due to denervation injury is quite common after open renal surgery by lumbotomy incision. Although rare, flank bulge following percutaneous nephrolithotomy (PCNL) after supracostal approach has been reported in literature. But pseudohernia after PCNL with subcostal access has not been reported yet. In this case report, we present the rare complication of an abdominal wall bulge that occurred after PCNL with a subcostal access. The index case had been operated for a partial staghorn calculus with lower calyceal extension. PCNL with subcostal approach was used. Complete stone-free status was achieved with an uneventful recovery. During the first follow-up after 1 week, an unsightly, painless flank bulge was noticed, which continued to persist till 9 months of periodic follow-up.